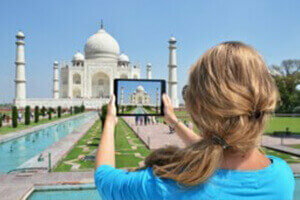 We have prepared some India Travel Tips for you which will help you while travelling to India. 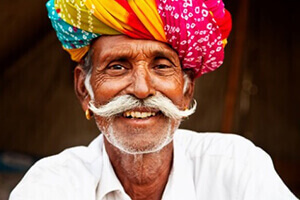 India packs a lot into a massive space, and you'll never have time to see it all on one trip. Think about what interests you, what you like doing and how much time you have, and tailor your trip accordingly. Be realistic about how much you can fit in. Rather than trying to see the whole country, you may get more out of your trip if you concentrate on the south of the country, or on the north. However, internal flights are plentiful and inexpensive so you can hop from north to south if you want a taste of both worlds. 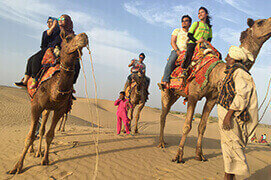 We offer a wide range of Holiday Tour Packages that include more than 30 Golden Triangle Holiday Packages connecting 3 major cities (especially Delhi-Agra-Jaipur) of Indian region and helping you visit the major attractions of these cities. 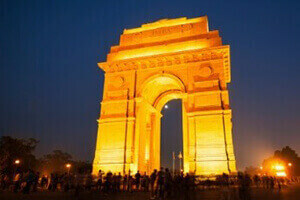 These packages are useful for the first time visitors to get an excellent introduction of India. 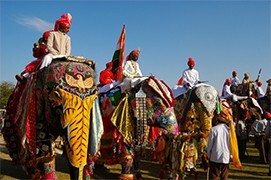 The most popular India tour is the all-time classic Golden Triangle. 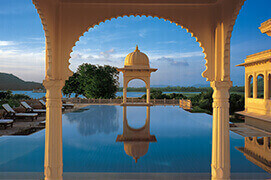 If time is short this is a fantastic introduction to three of India's top destinations, Delhi, Agra and Jaipur, and you can squeeze it into a week if you don't mind moving every couple of days. 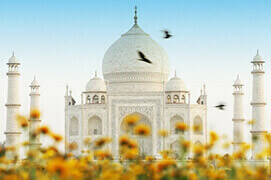 Start in Delhi, with sights such as Humayun's Tomb and the Red Fort, before hitting Agra and touring the Taj Mahal, Agra Fort and Fatehpur Sikri. Then it's on to Jaipur to explore the Pink City and the fort at Amber, before returning to Delhi's wonderful bazaars for a final shopping spree before you fly home. 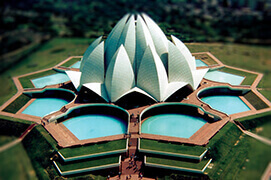 All non-residents require visas for India, which must be obtained prior to departure. Tourist visas are usually valid for 6 months from the date of issue. Passports must have at least 2 blank pages and be valid for 6 months after your return from India Two passport photographs are also required at the time of application. In case you are travelling to neighbouring country and are coming back to India after that visit again, ensure you have double entry visas. The Government of India has announced a scheme of granting Tourist Visa on Arrival for the citizens of Finland, Japan, Luxembourg, New Zealand and Singapore for a short period upto a maximum of 30 days. Please contact Indian Embassy/ Mission for more details and terms and conditions of this scheme. Getting Your Visa Foreign nationals wishing to travel to India are required to possess a valid passport of their country and a valid Indian visa. However, nationals of Nepal and Bhutan do not require visa to enter India and nationals of Maldives do not require visa for entry in India for a period up to 90 days (a separate visa regime exists for diplomatic/official passport holders). Visa on Arrival Only for citizens of Finland, Luxembourg, Singapore, New Zealand, Japan, Cambodia, Laos, Vietnam, Philippines, Indonesia and Myanmar. Adequate travel insurance is important for your personal safety. Mountain and other adventure sports enthusiasts should have insurance that covers trekking, climbing and mountain biking. Tourists should seek permission from the concerned authorities before taking photographs of places of military importance, railway stations, bridges, airports, military installations, metro trains, tribal areas and sensitive border regions. It is prohibited to take photographs in some of the temples, historical monuments, forts, palaces, tombs and monasteries. Visitors are required to take special permits from the Archaeological Survey of India for photographing monuments with tripods and artificial lights. Camera fee is charged extra in some historical monuments. There are no restrictions on the amount of foreign currency or travelers cheques a tourist may import, provided a declaration form is completed on arrival. This will also facilitate the exchange of imported currency as well as the export of unspent currency on departure. Cash, bank notes and traveler's cheques up to US $ 10,000 or equivalent need not be declared at the time of entry. Use authorized money changers for converting foreign currency. Most shopping areas have an opening times from 1000 – 2000 and most will have one closing day per week though this day will vary from place to place. Central Cottage Industries, State Emporiums and Delhi Haat are some of the prominent places that can we be visited for shopping. Most museums in India are closed on Mondays and site museums especially those near archaeological monuments, on Fridays. Photography is not always permissible, and at many places it is permitted only at a fee. There is usually a higher fee for using a video camera. When you are visiting religious sites, it is advisable to wear trousers, full-length skirts. Try and wear shoes that can be slipped on and off easily, as in some religious site you may need to entre the sanctorum bare foot. English is spoken at almost all tourist centres; you can also book the services of trained and approved guides who also speak German, French, Spanish, Japanese, Italian or Russian through the GTO in advance. Some hotels include service charges on their bills; in such cases tipping is not necessary. Where this is not done, a tip of 5 to 10% is considered customary. 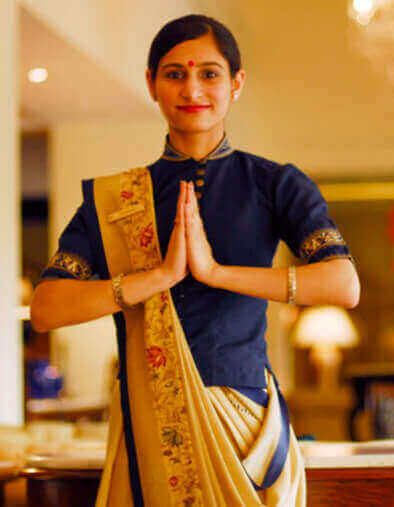 The porter who takes your baggage to your room can be tipped Rs.20 per bag or Rs.50 per trolley. (These estimates are for 5 and 4-star hotels and would be proportionately less in 1, 2 or 3 star hotels). Tipping to taxi drivers for airport/railway station transfers is not customary. However, Tour guides and drivers do expect tips depending on the assignments and number of days spent on the tour.